The Nationals sent Kieboom to Harrisburg so he’s close by (compared to Fresno) in case anything happens to either one of their backstops. But they’ll also want to give Barrera opportunities behind the plate, so expect them to split the catcher duties along with some DH’ing for both. The Washington State product showed his struggles at High-A Potomac in 2017 were behind him with a fantastic season at the same level in 2018. This year at Double-A will provide a good challenge for the 26-year-old infielder. The 5-year MLB veteran will look get his career back on the right path in Harrisburg. It’s probably not a coincidence that Sardinas will share the middle of the infield with Garcia so he can mentor the youngster. The Nationals’ #3 prospect (according to Baseball America) gets an aggressive promotion up the chain after only 49 games at High-A Potomac. 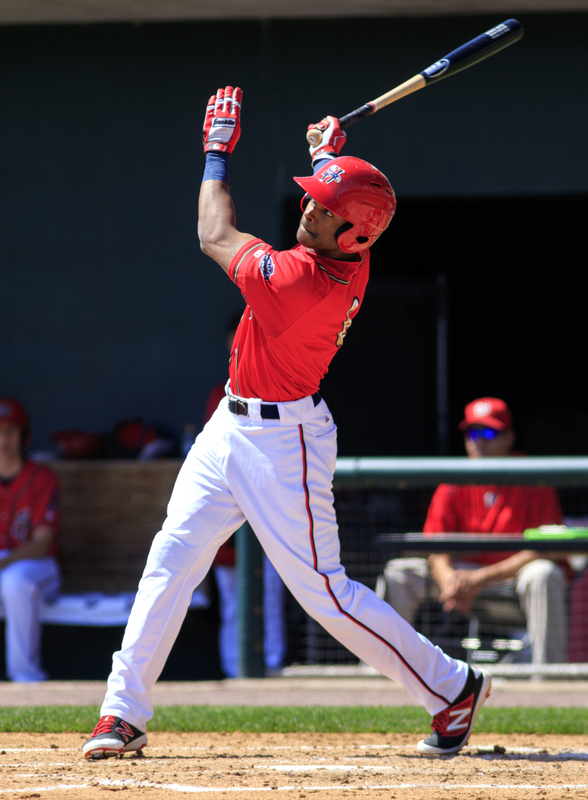 At just 18 years old until the middle of May, many are predicting a meteoric rise for the teenage phenom just like Juan Soto. If you throw out Ward’s first 14 games last year where he began ice cold at the plate, the corner infielder batted .274 and slugged .463 the rest of the way. Even though this will be his fourth season with the Senators, Ward is still only 24 years old and younger than the average age of the league. 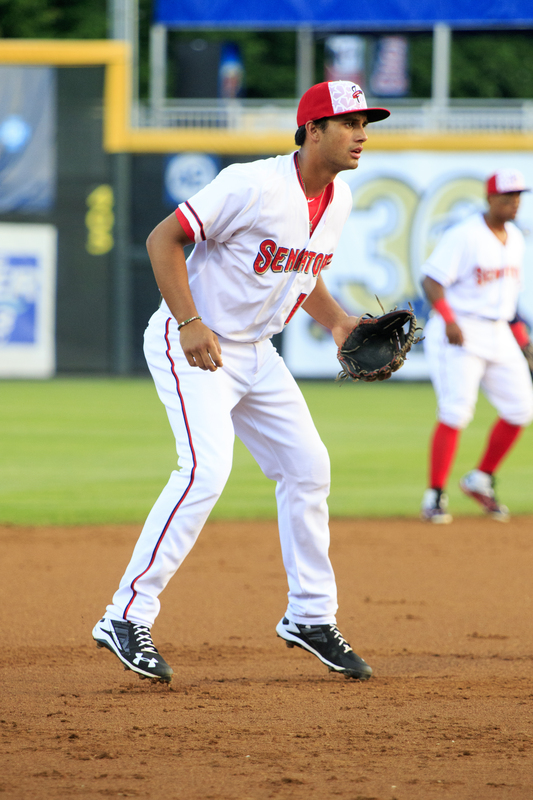 Mejia will likely be the jack of all trades subbing in at second base, shortstop, and third base for the Senators. After logging three straight 100+ game seasons at Potomac, 2019 will be the first opportunity for the 25-year-old at Double-A. Davidson showed last year that Double-A pitching wasn’t a problem for him at the plate as he killed right-handed pitchers to the tune of a .518 slugging percentage in 257 at-bats. Finding at-bats for him without a solid defensive position may be a challenge however. Goeddel will look to regain the form that saw him play 92 games with the Phillies in 2016 as a Rule 5 pickup from Tampa. Since then, the former first round draft pick has struggled at minor league stops in the Cincinnati and Los Angeles Dodgers organizations. The Vanderbilt product posted a career-high with 21 home runs last season in Potomac topping the 13 he hit in both Hagerstown and Potomac the previous two years. Wiseman feasts on right-handed pitching and it will be interesting to see if his power surge continues with the promotion to Double-A. Taylor was plucked away from the Mariners organization in the minor league portion of the Rule 5 draft by the Nationals and he slots in nicely as a corner outfielder. Expect the 25-year-old Texan to get on base and set the table for the Senators, but be aware his overall speed has not translated into stolen bases in the recent past. The only true centerfielder on the roster, Collier returns to Harrisburg as an integral defensive asset that can play any of the three spots. The Long Beach native will look to bounce back from his worst offensive season in his professional career. Fedde returns to Harrisburg and just like Kieboom it’s so he’s closer to DC than a couple of flights from the west coast. The Vegas native is considered the first man up should (I guess I should say when) the Nationals need starting rotation depth. Crowe was less than stellar after his call-up in August last year as his first full professional season physically wore him down. The right-hander had a tendency to nibble around the plate and it put him into hitter-friendly counts which cost him against upper level hitters. Perhaps the best athlete on the team (or any team he’s on), don’t let Sharp’s lithe frame deceive you. The Michigan native can bring the heat and he’s always tinkering with his grips and pitches to maximize his effectiveness. The 24-year-old southpaw returns to the starting rotation after a season serving as a piggyback reliever at Hagerstown and swingman at Potomac. 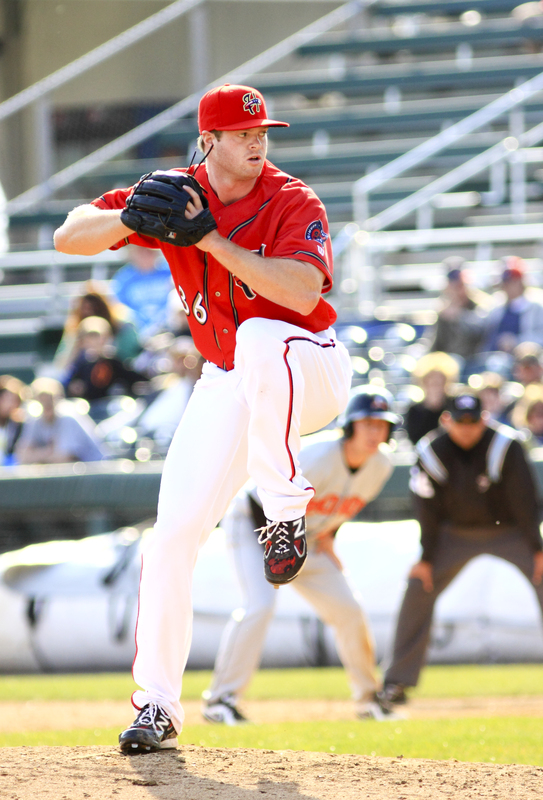 Braymer clearly excelled at the task as he was named the Nationals’ co-minor league pitcher of the year. “The Plumber” returns to Harrisburg after getting shut down in early August last season. 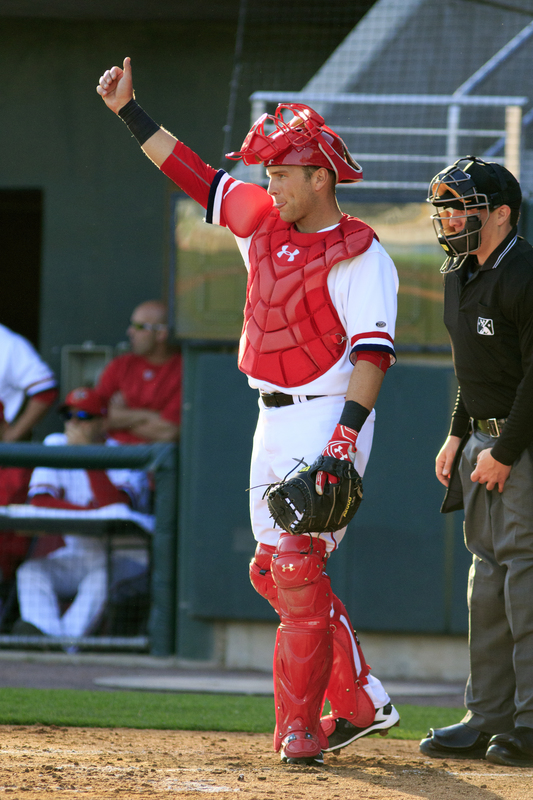 Mapes will look to come back 100% healthy and regain his 2016 form as he vies to put himself back on the prospect map. We’ve seen Bacus before. Each of the last four years to be precise. We’ve seen his mid-90s fastball and wipeout breaking ball can be dominant at times, but the results haven’t consistently matched the stuff. Not to be confused with the folksinger extraordinaire (and Bob Dylan’s one time squeeze), Baez has been a starter his entire career before his stint this past off-season in the Dominican Winter League. Here’s hoping the switch to the bullpen pays off with finding the strike zone more consistently. The feel-good story of the spring returns to City Island where he prospered six years ago. Eastern League hitters won’t cut him a break just because of his comeback story, so Barrett needs to prove he’s healthy and effective out of the bullpen. Bourque was a breakout star last year after converting from a starter to the reliever. If he starts the season the way he finished 2018, Bourque may get his MLB call sooner rather than later. The fireballer came over from the Kansas City organization in the Kelvin Herrera trade and continued mowing down batters at a different level in a different league. When the weather warms up, I wouldn’t be surprised to triple-digits on the in-stadium radar gun. Guilbeau made the successful transition to reliever last year returning to Potomac for a second straight season. After a rough May, the southpaw was excellent in his final 21 appearances earning his first shot at Double-A. There’s a reason Pena didn’t make it to Double-A Harrisburg until last year, seven seasons into his professional career. His high-90s fastball is impressive, but Pena struggles to throw strikes. If he can harness his power, he can be dominant. The one-time Nationals’ farmhand returned to the organization after a couple of seasons with the Phillies. Injuries limited Sanchez’s 2018 to just nine innings in the Gulf Coast League in August, so health will be a question mark entering the season.